The 2014 Ebola outbreak in Africa – the most extensive and deadly since the disease was first described in 1976 – has been making headlines around the world. Now, the first known cases of Ebola infection are coming to U.S. soil – on purpose. One American – Dr. Kent Brantly – is in a special containment unit at Atlanta’s Emory University Hospital, and another is soon to follow. Here’s why we should not be overly worried about this development. Ebola is a serious and scary disease; it is highly infectious, has no cure, and has a mortality rate of up to 90%. And there is no vaccine (yet). However, it is not as easily transmitted as the flu or the common cold. One must be clinically ill to transmit the disease. It is possible for an infected person to arrive in the U.S. or another country before showing symptoms, and then become sick after arriving. But before they actually became sick, they would not pass on the infection. This would hardly be a trivial event; but health professionals would promptly suspect Ebola and institute a quarantine of both the index case and all contacts while experts confirmed the diagnosis. Unlike a hot open-air unit in Africa, where workers swelter in their protective gear, the isolation units in Atlanta and similar facilities would certainly have a far lower chance of accidental transmission to caregivers – let alone to outsiders. In fact, the chance of an outside spread is close to zero. The patients will also be kept isolated beyond their apparent recovery, and be confirmed as virus-free before release. They will be closely monitored after release. This infection causes damage in several ways, including dehydration from fluid loss and coagulopathy. Although there is no specific cure for the infection itself, its effects can be treated. Supportive care with fluid replacement, correction of electrolyte problems, and management of organ failure will be provided at the standards of a top-level American intensive care unit, and this can substantially improve the mortality rate (still estimated at 30% or more). The current outbreak may take a long time to be contained. The patients in Atlanta will be studied and monitored with great attention to detail. With these patients under the direct care of American infectious-disease experts, it is possible that improved treatment methods can be developed and applied to other patients in Africa, and in future outbreak episodes. 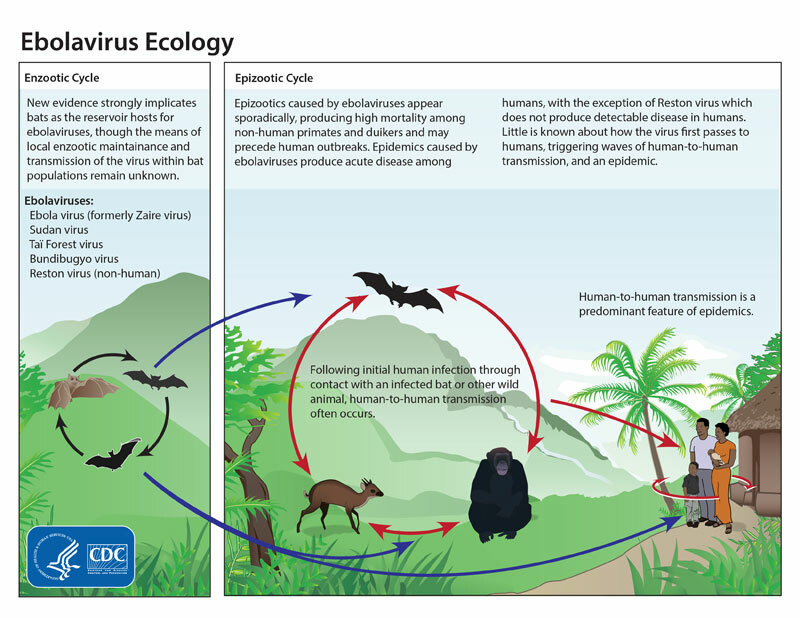 We don’t know if an Ebola reservoir species will ever become established outside of Africa, or if future cases will arrive here. 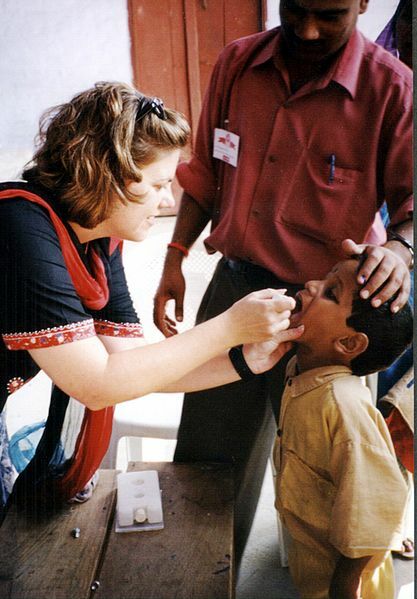 But in any case, what is learned from treating these two Americans will help manage future outbreaks of this disease. 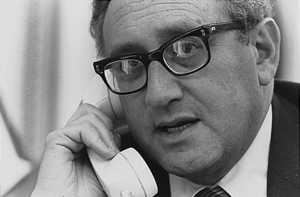 I admire many of the creative efforts used by our intelligence agencies to keep America safe. Spycraft itself is a wonderfully fascinating area, both in reality and fiction. But some areas should be off-limits. The 2011 intelligence effort to locate Osama bin Laden included a vaccination program aimed at obtaining DNA from children at a compound where bin Laden was suspected of – and later found to be – hiding. A Pakistani doctor involved with the effort remains in legal trouble for his involvement in the plot, and local suspicion of future vaccination efforts in the aftermath of this scheme has led to an increase in polio cases. Fortunately, the White House has agreed to cease any future use of vaccination programs as cover for intelligence operations. Vaccination has been one of medicine’s great triumphs. Leaving this area off-limits for intelligence gives assurance to the world that vaccination programs can always be viewed as legitimate. The anti-vaccination effort in this country has been an unfortunate development, sowing doubt via unscientific and outright fraudulent information. No further seeds of doubt should be developed, and it’s a good thing that the CDC continues to campaign against such misinformation. By putting vaccination programs off-limits, the CIA has taken an important step and owned-up to its past. Creativity from our intelligence services is normally a good thing. Reality and fiction have given us everything from exploding cigars to sports-car submarines. At least they will no longer give us vaccination ruses. I’m glad we got bin Laden. I hope we did not truly need the vaccination program to do so. The author with Dr. Bala. I was greatly saddened to hear of the death of Dr. Chenicheri Balakrishnan, plastic surgeon, friend and mentor to generations of residents in both the plastic and general surgery training programs at the Detroit Medical Center/Wayne State University. Dr. Bala, as he preferred to be called, was the major figure in the program when I had the good fortune to train there several years ago. At that time he was the primary plastic surgeon for three hospitals; Detroit Receiving, the Veteran’s Affairs hospital and Sinai-Grace. Working with him was special in many ways. Surgery training is very personal – no two individuals ever have quite the same training experience. Just as a human body is made up of trillions of different cells, surgical training consists of thousands of interactions, large and small, with other people as one progresses from neophyte beginner to fully-trained (but still inexperienced) surgeon. During this process, I had the benefit of working with many excellent surgeons, but he was one of the most significant. Dr. Bala was a major part of my plastic surgery training, as he was for my classmates and those who came before and after our time with him. “In plastic surgery, experience matters a lot.” He told me. “We sometimes have to come up with a new operation right there, because every time things are different.” He wasn’t kidding. And he delivered that experience. He had a huge repertoire of operations he had mastered. He would find a way to make sure we got experience doing as many different sorts of flap techniques, grafts, and other methods of reconstruction as possible. He kept track of which residents had done which types of reconstructions. If you needed a certain type of case and were not currently on his service, he would coordinate with your service so you could participate and get the required experience. He was that sort of surgeon. His team handled all kinds of injuries, burns, facial fractures, severe hand trauma, you name it. He had a wide practice variety and drew on substantial background training in India, England, Scotland and Ireland. Like many great surgeons trained in international programs, he had a no-nonsense approach to operating and elevated his resident-trainees to new levels, giving them as much challenge as he felt they could handle, and sometimes more. His operating ability and speed were legendary. Suffice it to say, he could fix just about anything. He would move his team through cases rapidly and without skipping important details. An elective daily schedule might run more than ten cases, with emergencies worked in as needed. Somehow he had everything running so smoothly between rooms that no matter how packed the schedule, the team would finish and be home before too late. He cherished his own family and wanted to get his residents home to theirs as well. A typical Monday morning would see us reviewing digital images of trauma cases – many the second-place finishers in that weekend’s Detroit-area bar brawls – planning who would get what operation, and when. It seemed no matter how severely someone’s face was broken, he could get us through the repair in two hours or less, and with a minimal rate of complications. It was the same thing with hand surgery. Despite some terrible injuries, everything would be washed, pinned, plated, sewed and splinted in what seemed like no time, and with good results. I would not truly appreciate the full range of his skill until later, when I would find myself greatly challenged to try to produce the same outcomes in my own early practice experience. He loved teaching the general surgery residents rotating on his service, who would enjoy getting plenty of operating experience. Though he did some cosmetic surgery, his main interest was in reconstructive plastic surgery and burns. Many thousands of patients benefited from his service to the institution during his career, and many more would have had he been able to be with us longer. Dozens of plastic surgery and general surgery residents also benefited from their exposure to such a talented surgeon and gentle, friendly man. He published many scientific papers and book chapters, frequently collaborating with his residents, contributing to the fund of surgical knowledge. I am proud to have contributed with him, showcasing some truly interesting and memorable cases. May whoever follows in his footsteps at that fine institution keep his spirit alive. I also wish the Detroit Medical Center will memorialize Dr. Bala in a manner worthy of his remarkable service to the facility and the community. The Detroit Medical Center and its patients have lost a great surgeon. The residents who were fortunate enough to have trained with Dr. Bala have lost a wonderful mentor and friend. It had a great name and memorable marketing campaign, but Tygacil suffered a serious blow with Pfizer’s warning of an “All-Cause Mortality Imbalance” related to the once-promising antibiotic. Tygacil, colloquially referred to as ‘The Tiger’ was found to increase mortality by 0.6% compared with control antibiotics. We’ll get into the numbers in a bit, but this was enough for Tygacil to be deemed, “…reserved for use in situations when alternative treatments are not suitable.” In other words, use something else if at all possible. Tygacil isn’t a common antibiotic, its intravenous only and not something one is prescribed during a routine office visit. It has three labeled indications; complicated skin/skin structure infections, complicated intra-abdominal infections, and community acquired bacterial pneumonia. Patients who need Tygacil are sick, with a serious soft tissue infection such as extensive cellulitis, necrotizing fasciitis, or an intra-abdominal abscess as would be seen in a number of major conditions. It was once thought as a possible treatment for diabetic foot infections, but was found not to be adequately effective for this indication. 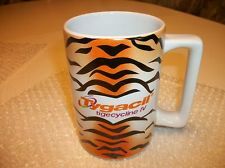 The marketing materials were memorable, with tiger-striped giveaways and tigers appearing on brochures and other media. 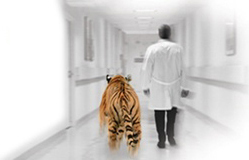 The best image, printed in countless medical journals, featured a white-coated clinician heading down the hall accompanied by an orange-and-black striped beast standing waist high and weighing around 650 lbs. The image implies that whatever the threatening bacteria, it is going to be done for when these two get to the room. How bad is it? The mailing describes the results of a meta-analysis (basically, a compliation of a number of smaller studies) showing excess mortality in patients undergoing treatment for approved indications of 0.6% compared to patients treated with comparator drugs. 2.5% of patients treated with Tygacil died compared with 1.8% of patients treated with other drugs. Put another way, Tygacil deaths occurred in excess at a rate of six per thousand patients. It may not sound like much, but extrapolating out into national numbers means potentially thousands of excess deaths every year. The reason for the deaths is not clear, and this is not surprising given that these patients were likely all very ill with co-morbidities, so teasing out the cause isn’t easy. And even with the numbers presented, it isn’t certain that the drug is to blame, but the significance level is enough to put out the warning and continue to watch things closely. The earlier studies of effectiveness were conducted with smaller numbers of patients (under 300) so rarer events will not be picked up in the majority of cases. With new drugs, there is always some leap of faith when a product is released for wide use. Post-marketing (Phase IV) trials are for catching problem drugs once they are released into the wild. And in this case, the Tiger had to be hunted down. In January, former Beth Israel Deaconess CEO Paul Levy posted a story on his blog regarding Boaz Tamir, a then 20-yr old Israeli soldier blinded by shrapnel in 1973. He was taken to a hospital and operated upon by an English-speaking female surgeon who restored his sight. He slipped out of the hospital and rejoined the battle, but did not recall the identity of the doctor who had treated him. Barron’s recently profiled Intuitive Surgical, maker of the da Vinci Surgical System. The article was standard high quality work characteristic of the publication. (Though today’s focus is not on investment quality, the phrase “120 inch trocar” comes to mind when considering a company trading at twice the market multiple in an environment of slowing growth). 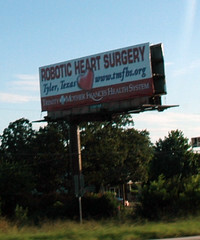 Robotic surgery is an important innovation, but has not yet proven to be a game-changing technology. Though fascinating and impressive, robotic surgery hasn’t duplicated the impact seen in the laparoscopic revolution. When laparoscopy emerged, gallbladder removal with a big incision and days in the hospital was replaced with several small cuts and an overnight stay; with a clearly shorter recovery (albeit with an increase in duct injuries until the procedure was mastered). Other operations were soon improved using laparoscopy, with shorter hospital stays and lower complications. The benefits of robot-assisted prostatectomies and hysterectomies continue to be debated by researchers. But the technology is here, and it factors prominently in hospitals’ marketing efforts and clinical programs. Robotic surgery has higher costs, roughly $2000 per case, but this is not paid by government or private insurers. The costs are borne by hospitals, which hope to recoup them via capturing additional market share both in the robotic clinical areas as well as additional ones via increased exposure. Institutional reputations may improve with public perception as a high-tech clinical destination. Right or wrong, the public tends to equate higher-technology care with better care, and it is generally easier to embrace this concept (get the robot) than try and resist and wait for research-proven superiority to be determined. Residency programs also face a recruiting disadvantage without the latest technology. Even in freer market areas such as cosmetic surgery, higher-tech is preferred to lower-tech – laser liposuction is a recent example, despite unproven benefits. So even if patients paid the marginal cost of robotic surgery, it would still be opted for in most cases. Despite hospitals absorbing the additional cost of robotic surgery, those capturing additional market share have not yet demonstrated lower costs. And in the distorted healthcare market, such reductions are not likely to be seen unless hospitals are pressured by competitors, patients shoulder more of the cost, or payors take action (with the latter often the least-effective). In taking on the additional cost of robotic surgery, hospitals assume some degree of risk and participate in another area of technological competition, the so-called ‘medical arms race’. Should the additional costs not produce the desired results, other clinical programs and staff may bear the fallout. But with additional clinical areas to be explored, it seems a reasonable risk. If eventually the robot demonstrates open-to-laparoscopic-gallbladder improvement in some clinical area, it will be well worth it. Read the Barron’s recent profile here. At the end of every year, we recall the notable people who have departed our worldly domain. Naturally, most are entertainers, political figures and other luminaries. We should also highlight noted personalities in the sciences. Before the first week of 2013 is past, recall one of the most noted individuals to pass in 2012 – an important figure who hailed from the scientific and medical arena. Joseph Murray M.D. died on November 26, 2012, and though he may not be a household name, he was one of the most accomplished plastic surgeons in history, and one of the major figures in 20th century medicine. Dr. Murray was the first surgeon to perform a solid-organ transplant when on December 23, 1954; he transplanted the kidney of Ronald Herrick into his identical-twin brother Richard, who suffered from end-stage renal disease. The procedure ushered in the contemporary era of transplantation, and from this accomplishment Dr. Murray shared the 1990 Nobel Prize in physiology or medicine. Today’s medical world is a bit different from the one in which Dr. Murray came of age and made his mark on medical history. Laypersons may be surprised to learn that a plastic surgeon performed the first kidney transplant. But in that era plastic surgery encompassed a wide domain, and surgeons could develop expertise in their areas of interest. Dr. Murray became interested in transplantation after noting rejection patterns of skin grafts from unrelated donors during his work treating soldiers injured in World War II. At this time, specialties developed based on advances in physiology allowing work that was previously not feasible. Advances in anesthesia and critical care allowed bigger and bolder interventions to be attempted and accomplished. The first kidney transplant was followed by refinements in technique, a better understanding of immunology, and an expansion of acceptable donor and recipient criteria. Further advances led to success in liver, heart, heart-lung and other types of transplant procedures. The early kidney procedures involved identical twins, avoiding the problem of organ rejection. 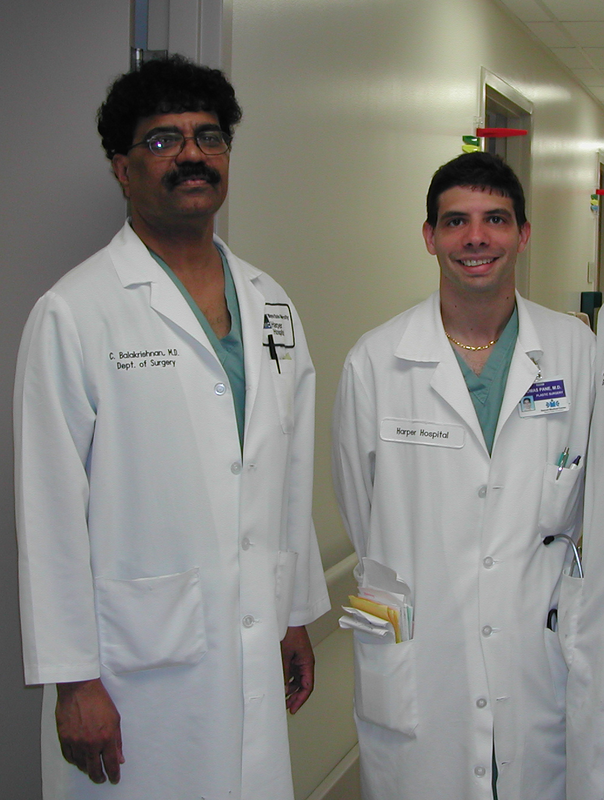 While developing the technical aspects of transplant surgery was critical, wider application came from better understanding of transplant immunology, which Dr. Murray helped lead. Today transplantation of kidneys and other organs is commonplace. That is largely due to the efforts of Dr. Murray and others in this developing field. 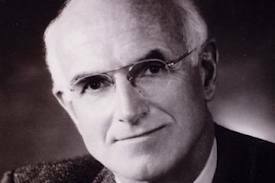 Science advances one step at a time, and in the field of transplantation many of those steps led to and from the work of Joseph Murray.